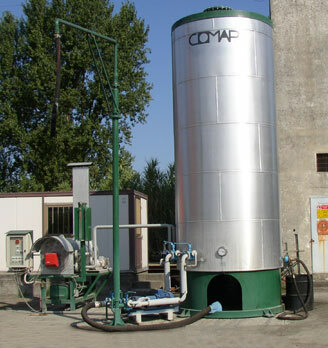 Vertical tanks for storing and heating emulsion have a raised conical bottom which allows the discharge to fall into the barrels and the eventual easy cleaning of the residual bitumen. 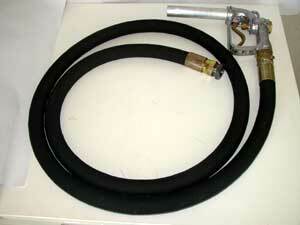 To avoid emulsion foam flowing during loading operations there are no airholes in the upper part of the tank. 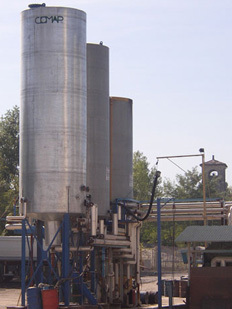 Heating by oil thermo coil, electric resistances, autonomous thermal oil type CO 4 or heat exchanger, which allows hot oil circulation at a temperature of less than 100 °C. 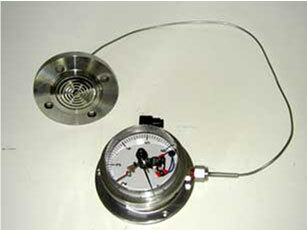 Tanks are complete with rock wool insulation, aluminium coating, thermometer, thermo coil, membrane level gauge, inspection doors, lifting bolts, loading arm, shafts filling gun. 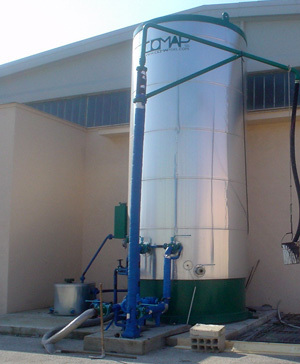 Automatic control temperature valves, thicker insulation, approach stairs and gangways, electronic level gauge, inner pipes for emulsion recirculation, membrane level indicator with electric contact for pump stopping in case of overflow are available on customer demand. 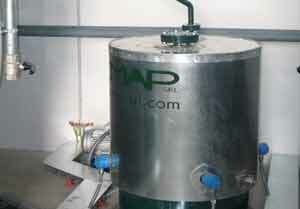 We can produce and supply personalised tanks in terms of size and capacity. 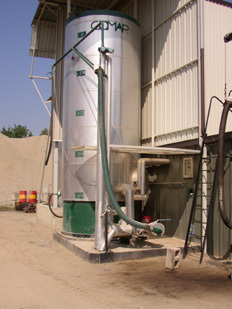 All tanks are equipped with connection for eventual emulsion and hot oil linking pipes. 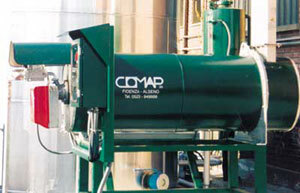 Upon request, planning and manufacturing of pipes with or without a heating chamber; maintenance, supplying of spare parts on existing installations.